Today we can see that everyone have a smartphone. We know that each and everyone using Whatsapp. Whatsapp is mainly available for smartphones. Which run by Most mobile platforms, that are android, windows, iPhone (IOS), etc.it? So here Daily we getting many personal and public videos through WhatsApp. It may be from a personal account or WhatsApp groups. So we are sharing many images and videos to WhatsApp. Here am going to teach you how to hide WhatsApp downloaded pictures and videos from your phone gallery. Steps for Hiding Whatsapp Videos and Images from Gallery. Step 1: Open the file manager Application. 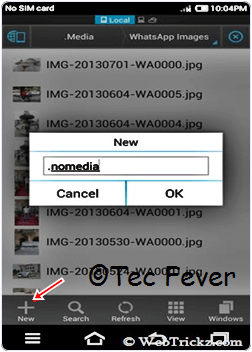 You can also install different file manager Applications on Your Android devices. 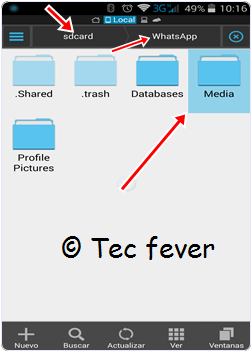 Some applications are here > ES File Explorer, total commander File Manager App, etc. 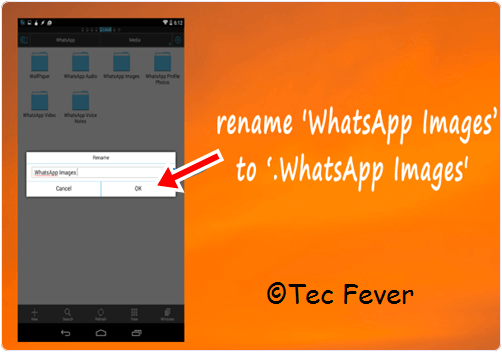 Step 2: Find your WhatsApp media folder using the file manager. You can find it in Home > SD card > Whatsapp > Media. Step 3: In the Media folder, you will see a subfolder named WhatsApp images. Step 4: Just Rename the folder as “.WhatsApp images.” without quotes. Check the below image for help. You can use an Alternative Way To Hide Whatsapp Images From Gallery. Step 4 Alternative: Alternatively you can create a “.nomedia” file Without Quotes. You can create a new file by clicking the Plus button, and select the file option. Check the below image for help. Step 5: Now you can open your Gallery. You can see that your Whatsapp folder become invisible. If you can see the WhatsApp folder, then you have to clear the cache for gallery Application. You can clear cache quickly. Go to setting > App Manger or Apps > Select gallery application >click on the clear cache. Don.t forget to turn off hidden files option. Android is developed based on the Linux kernel. If we Add ‘. OR period‘ in front of a folder or file name it will become completely invisible. Hide Whatsapp Videos and Images from Gallery Steps above for Android device. 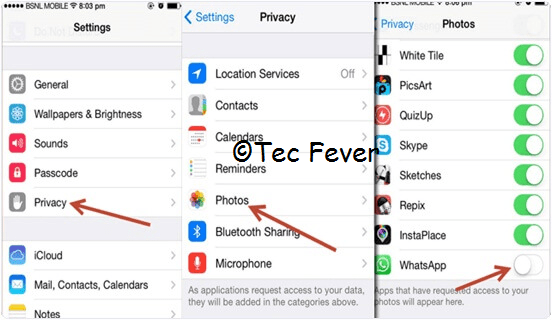 If you are iPhone user, then it is so simple to hide the Whatsapp images Appearing in the Gallery within few clicks. Just go to your phone settings > Privacy >Photos->Untick WhatsApp from the menu. After following the above step, you will not see your WhatsApp images in your iPhone Gallery. Check the below image for further help. 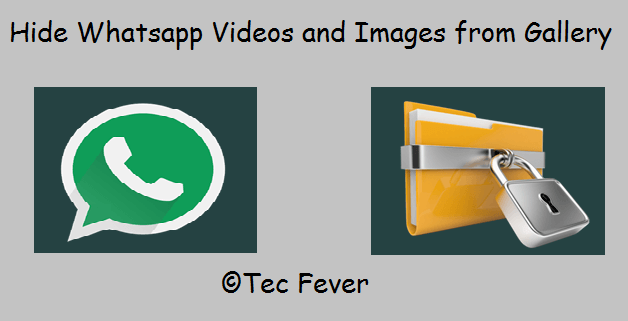 So these are the different method to Hiding Whatsapp Videos and Images from Gallery on Android and iPhone quickly. If you know, any of the best ways for this must share it with us. We will update it soon.